Chapter 1. Introduction. Part A.- Principles of Environmental Science. 2. Mass Conservation. 3. Principles of Energy Behaviour Applied to Environmental Issues. 4. Ecological Principles and Concepts. 5. An Overview of the Major Environmental Problems of Today. Part B. Principles of Environmental Technology. 6. Water and Waste Water Problems. 7. The Solid Waste Problems. 8. Air Pollution Problems. 9. Examination of Pollution. Appendices. References. Index. 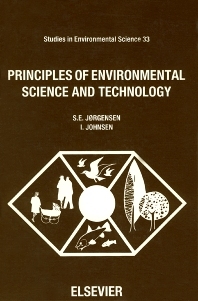 Since the publication of the first edition of this book in 1981, it has been widely used as a textbook at university level for graduate courses in environmental management, environmental science and environmental technology (for non-engineers). As this second edition is significantly improved, it should find an even wider application than the first. In the second edition, the section on ecotoxicology and effects on pollutants has been expanded considerably, as has Chapter 4 on ecological principles and concepts. Further improvement has been made by the addition of a section on ecological engineering - the application of ecologically sound technology in ecosystems - and an appendix on environmental examination of chemicals. The problems of agricultural waste have been included in Part B, and in Chapter 6 on waste water treatment, several pages have been added about non-point sources and the application of soft'' technology. Throughout the book, more examples, questions and problems have been included, and several figures and tables have been added to better illustrate the text.